how god plays poker | Have You Accepted Cheeses As Your Personal Flavor? I gotta admit, I still roll my eyes every time I’m channel-surfing and I see poker on ESPN. Sorry, it just doesn’t seem to qualify as a sport in my book. Although I haven’t bought into the recent Texas Hold ‘Em craze, I do enjoy playing poker. I remember being in middle school spending the night at a friend’s house and we’d play poker until the wee hours of the morning using M&M’s as poker chips. Of course, in keeping with the classic M&M’s commercial of the 80’s the green ones were worth the most. We would usually play five card draw (where players can trade in cards for new ones) because seven card stud (where you are stuck with the seven you were originally dealt) just didn’t seem as fun. Recently, I was counseling a young man who had been through a lot of past hurt – most of it from no fault of his own – and I realized life can be a lot like a game of poker. 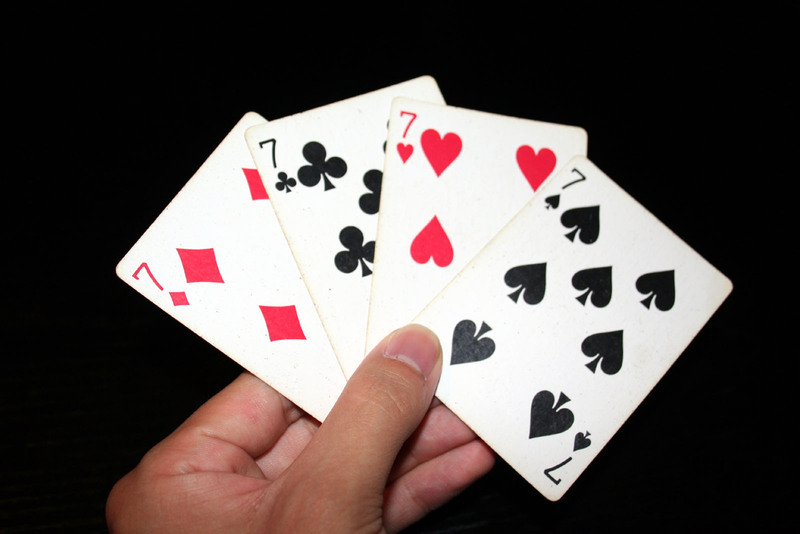 We have all been dealt our cards – the Dealer handed them out when we were born, beginning our game. The problem is, many times we’ve drawn a bad hand. What makes this seem so unfair is that we had no control over which cards we got. Which one of you chose who gave birth to you or in which country you would be born? Do you remember meeting with God about which talents and abilities you’d have, your appearance, race, gender, your spiritual upbringing or what your socioeconomic status would be growing up? Of course not. We had no say in these things – they were just dealt to us. Some of us drew great cards while many of us drew cards of broken families, abuse, poverty and pain and there was nothing we could do about it. But here’s the good news: God plays five card draw. See, you are not stuck with the cards you were originally dealt. You don’t have to hold onto bitterness and unforgiveness from the pain you went through. You don’t have to live under the shadow the past that you couldn’t help. God allows, and even wants you to turn in those bad cards so He can replace them with good ones. Whats more, God will take those things we didn’t choose – those “bad cards” we don’t like about ourselves – and change our circumstances so that they become a good cards. Imagine you’re dealt a three of clubs – it doesn’t have a lot of value by itself like a face card. But when you draw and that three of clubs is paired with four other clubs or a four, five, six, and seven, its turns into a flush or a straight – both excellent hands. In the same way, God can redeem the cards we’ve been dealt and make them a part of a great hand. When you repent and turn to God – yielding to His will and His ways, the veil of sin is removed and you’re given spiritual freedom. With this freedom, you can now see Him clearly – “face to face” as it says in The Message. And as we spend time with Him, becoming more and more like Him, we begin to draw His cards. I encourage you to seek God and if you’ve been dealt a bad hand in life, don’t get angry and dwell on those cards you wish you didn’t have. He has already made a way for you to win. Throw yourself into an intimate relationship with Him and turn your cards in for new ones – because God’s cards always produce a winning hand.